Time to archive and destroy! Home/Archive Storage, Blog, Confidential Destruction Services, Data Storage, Document Management, Document Scanning/Time to archive and destroy! 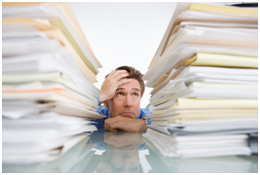 When it comes to relocating your office, it’s often the time you think seriously about archiving your documents. Any move encourages de-cluttering and an office move is no different. If you find yourself in this situation, it’s a good time to contact experts DataSpace UK to consider your archiving options. We can store any hardcopy documents you need to archive including sensitive or client documents in one of our purpose built secure warehouses which comply with BS5454 regulations. The facilities also feature 24 hour, year long fire and theft security monitoring and web based CCTV surveillance to ensure your documents are stored safe and sound. We use an advance bar coding system to track your boxes so that documents can be retrieved instantly and either ferried back to you or scanned for online access. During the storage period, you might need some documents destroyed. At DataSpace we can offer a secure and confidential data destruction service. Documents and other formats including floppy discs, CDs/DVDs or video tapes go through a cross-cut shredding system ensuring complete destruction. We can also offer these total destruction services on-site if you find yourself ready to move but not ready to archive. We can also dispose of uniforms, x-rays and products and offer a similar service for old PCs and IT data. DataSpace offer a complete service that meets with compliance obligations whilst maintaining both commercial and personal data protection. Contact us today by telephone 0800 028 8956 or email to ask about our data solutions. It could save you both the time and money of moving unnecessary documentation.